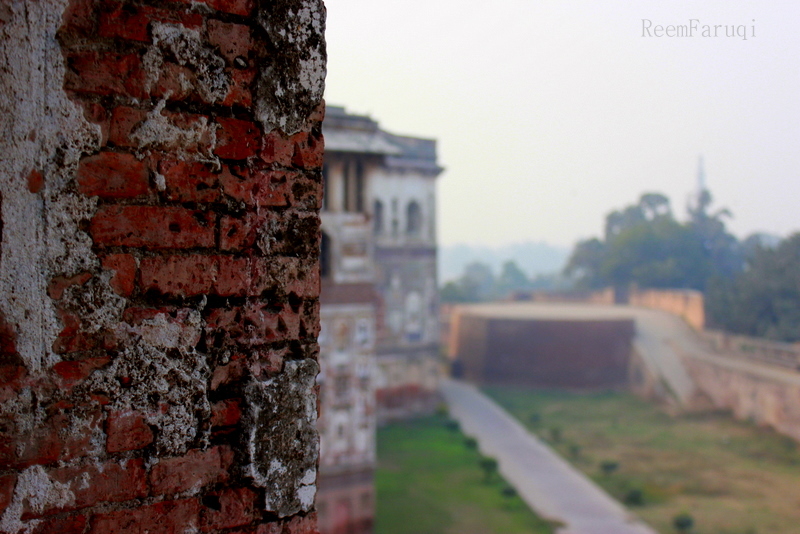 Crumbly Red Brick Pillar from Lahore Fort that contains lots of history. Time has made its mark on these strong, lofty pillars. 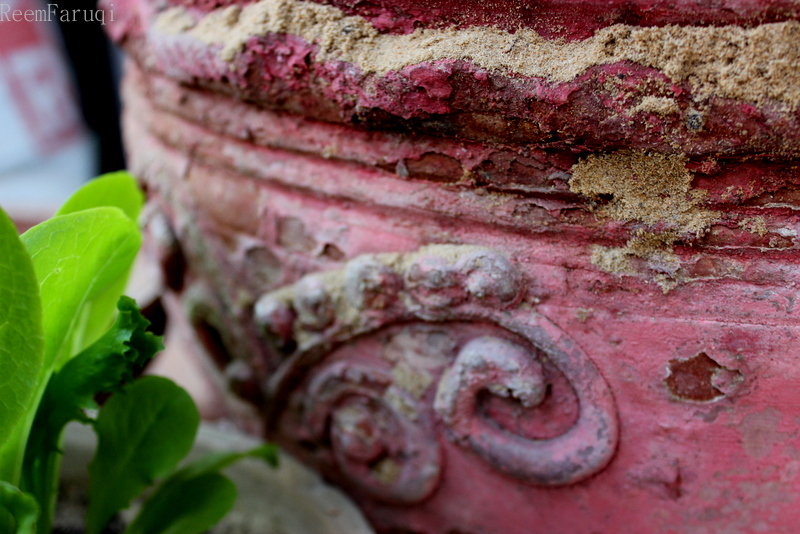 Supposedly-mundane crumbly pot from Nana’s outdoor garden on the verandah. This one too contains history in it. Nana grew the lettuce on her own. I love the arches in this pot and the brown dusty Karachi sand wedged in the cracks. Z loved the lettuce too and if she had to choose one favourite spot from Pakistan, she would probably choose this verandah with its lettuce, crows, cool breeze, and peaceful air. “ He created the heavens without pillars that you see and has cast into the earth firmly set mountains, lest it should shift with you, and dispersed therein from every creature. And We sent down rain from the sky and made grow therein [plants] of every noble kind” (Quran 3:10).